ചൈനയുടെ പാര്‍ലമെന്റായ പീപ്പിള്‍സ് കോണ്‍ഗ്രസ്സിലെ ഏറ്റവും ധനികരായ 70 അംഗങ്ങള്‍ക്ക് കഴിഞ്ഞ ഒറ്റവര്‍ഷം കൊണ്ട് വര്‍ദ്ധിച്ച സമ്പത്ത് അമേരിക്കന്‍ കോണ്‍ഗ്രസ്സിലെ മുഴുവന്‍ അംഗങ്ങളുടെയും ആകെ സ്വത്തിനേക്കാളും 400 കോടി ഡോളര്‍ അധികം. അതായത് അമേരിക്കന്‍ പ്രസിഡന്റ്, അദ്ദേഹത്തിന്റെ മന്ത്രിസഭാംഗങ്ങള്‍, ഒമ്പത് സുപ്രീം കോടതി ജഡ്ജിമാര്‍, യു.എസ്സ്. കോണ്‍ഗ്രസ്സിലെ മുഴുവന്‍ അംഗങ്ങള്‍ എന്നിങ്ങനെ 660 പേരുടെ ആകെ സ്വത്ത് 750 കോടി (7.5 ബില്യണ്‍) ഡോളറാണെങ്കില്‍ ചൈനീസ് പാര്‍ലമെന്റിലെ ഏറ്റവും ധനികരായ 70 പേര്‍ക്ക് 2010-നും 2011-നും ഇടയില്‍ വര്‍ദ്ധിച്ചത് 1150 കോടി ഡോളറാണ്. ഇതാണ് കമ്യൂണിസത്തിന്റെ പുതിയ രൂപം. കമ്യൂണിസത്തിന് സംഭവിക്കുന്ന മാറ്റങ്ങളെ കുറിച്ചറിയാന്‍ ബിസിനസ്സ വീക്കില്‍ വന്ന ഈ ലേഖനം വായിക്കുക. The richest 70 members of China’s legislature added more to their wealth last year than the combined net worth of all 535 members of the U.S. Congress, the president and his Cabinet, and the nine Supreme Court justices. The net worth of the 70 richest delegates in China’s National People’s Congress, which opens its annual session on March 5, rose to 565.8 billion yuan ($89.8 billion) in 2011, a gain of $11.5 billion from 2010, according to figures from the Hurun Report, which tracks the country’s wealthy. That compares to the $7.5 billion net worth of all 660 top officials in the three branches of the U.S. government. The income gain by NPC members reflects the imbalances in economic growth in China, where per capita annual income in 2010 was $2,425, less than in Belarus and a fraction of the $37,527 in the U.S. The disparity points to the challenges that China’s new generation of leaders, to be named this year, faces in countering a rise in social unrest fueled by illegal land grabs and corruption. The National People’s Congress, whose annual meeting will run for a week and a half, is legally the highest governmental body in China. While the legislature, with about 3,000 members, is often derided as a rubberstamp parliament, its members are some of China’s most powerful politicians and executives, wielding power in their home provinces and weighing in on proposals such as whether to impose a nationwide property tax. “The NPC is not exactly what you would call a center of power, but being on it certainly gets you deeply engaged in the political system,” Lieberthal said. Hurun, a Shanghai-based publisher of magazines targeted at the Chinese luxury consumer, uses publicly available information such as corporate filings to compile its annual list of the richest people in China. It then cross-checks that data with the government’s list of NPC members. Zong Qinghou, chairman of beverage-maker Hangzhou Wahaha Group (HWGZ) and China’s second-richest person, with a family fortune of 68 billion yuan, is a member. So is Wu Yajun, chairwoman of Beijing-based Longfor Properties (LHREZ) Co. She has family wealth of 42 billion yuan, according to the Hurun Report. Former President Jiang Zemin pushed for the inclusion of wealthy private entrepreneurs into the Communist Party a decade ago. Now they have regular access to top party leaders who are also NPC members. The third-richest person in the NPC, auto-parts magnate Lu Guanqiu, traveled with Vice President Xi Jinping to the U.S. during his official visit this month, attending a meeting with Vice President Joseph Biden and Treasury Secretary Timothy F. Geithner in Washington on Feb. 14. Wu, who is China’s richest woman, doesn’t give media interviews, her spokeswoman said. Lu wasn’t available for an interview, his spokesman said. Zong wouldn’t comment on the makeup of the NPC because that’s a matter determined by the central government, Wahaha spokesman Shan Qining said in a phone interview. Many of the NPC’s richest members, including Longfor’s Wu, are executives in real estate, a sector that has spurred protests and contributed to the rising wealth gap between city dwellers and farmers. A land grab by a property developer in Wukan, a fishing town in southern China’s Guangdong province, sparked protests in December that resulted in the expulsion of its Communist Party leaders. 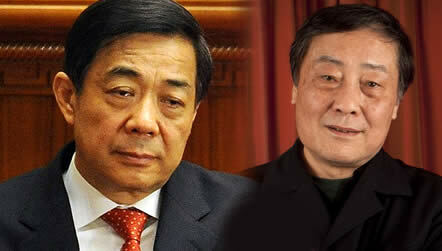 Premier Wen Jiabao has pledged to crack down on such land grabs and work to ease wealth disparities. China’s top political leaders, including President Hu Jintao and Wen, don’t disclose their personal finances or those of their families. Chinese private executives such as Zong and Lu have built their fortunes on the back of economic growth that has averaged 10.1 percent in the last 30 years. The U.S. economyexpanded by an average annual rate of 2.7 percent in the same period. Regular Chinese have also benefited from the growth of China’s economy, which surpassedJapan as the world’s second biggest in 2010. Since introducing free-market policies, China has lifted 300 million of its 1.3 billion citizens out of poverty, according to the United Nations. Annual growth of per capita GDP in China was 9.8 percent at the end of 2010. Per capita GDP has more than doubled since 2000, according to the World Bank. The wealth gap between legislatures holds with statistically comparable samples. The richest 2 percent of the NPC -- 60 people -- had an average wealth of $1.44 billion per person. The richest 2 percent of Congress -- 11 members -- had an average wealth of $323 million. The U.S. figures come from a downloadable database on the website of the Washington-based Center for Responsive Politics. The U.S. figures are inflated because the database includes members of Congress who were retired or defeated in the 2010 elections as well as their replacements. The wealth of members of Congress did increase at a higher rate than that of their Chinese peers in the most recent disclosures as U.S. equity markets outperformed China’s. The average wealth of the richest 2 percent of Congress rose 22 percent in 2010 from 2009. The Standard and Poor’s 500 Index rose 12.8 percent in 2010. The wealth of the top 2 percent of NPC delegates rose 13 percent in the 2011 Hurun list following a 14.3 percent fall in the Shanghai Stock Exchange Composite Index in 2010 and a further 21.7 percent drop last year. Hong Kong’s Hang Seng dropped 20 percent in 2011 and the Shenzhen Composite fell 33 percent in the same period. The wealthiest member of the U.S. Congress is Representative Darrell Issa, the California Republican who had a maximum wealth of $700.9 million in 2010, according to the center. If he were in China’s NPC, he would be ranked 40th. Per capita income in China is about one-sixth the U.S. level when adjusted for differences in purchasing power. Financial disclosure forms ask lawmakers and other top U.S. officials to list the value of their individual assets in ranges, such as $1,001 to $15,000 or $1,000,001 to $5,000,000. Bloomberg News used the maximum range of wealth on the U.S. disclosures to compare with the Chinese NPC. Rupert Hoogewerf, chairman and chief researcher for the Hurun Report, estimates that for every Chinese billionaire the company discovers for its list, there is another one it misses, meaning the gap between the wealth of China’s NPC and the U.S. Congress may be greater still.